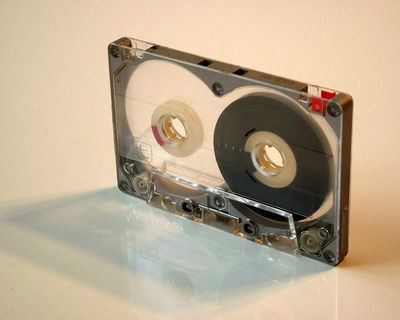 The ﻿Compact Cassette ﻿(called Musicassette - MC - when it came with prerecorded material) is an analog magnetic tape sound recording format. It all began with the invention of the magnetic tape in 1928 which led to the first reel-to-reel recorder made by AEG in 1935. 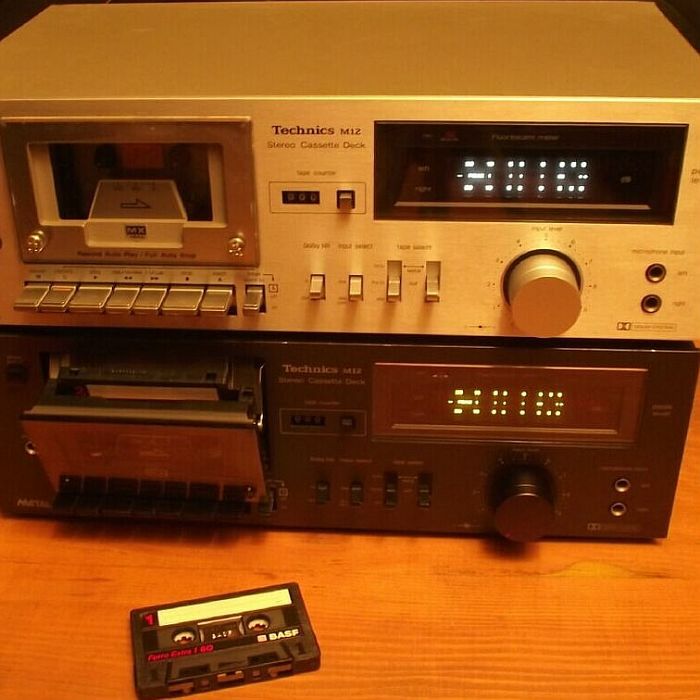 These were big machines used in recording studios, radio stations and later by Hi Fi enthusiasts at home. 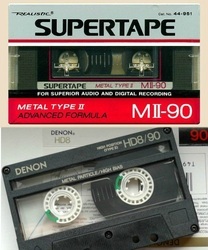 To make home recording more popular, with smaller machines, there were a few cartridge type tapes introduced to the market but they all failed in short time. 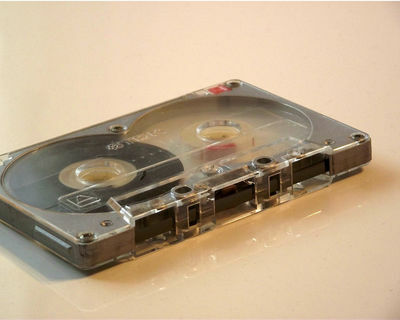 It was at the Berlin Radio Show on 30 August 1963 that this new cartridge format was presented by PHILIPS. The name of this new medium was "Compact Cassette" and it was intended to be used for dictation machines. 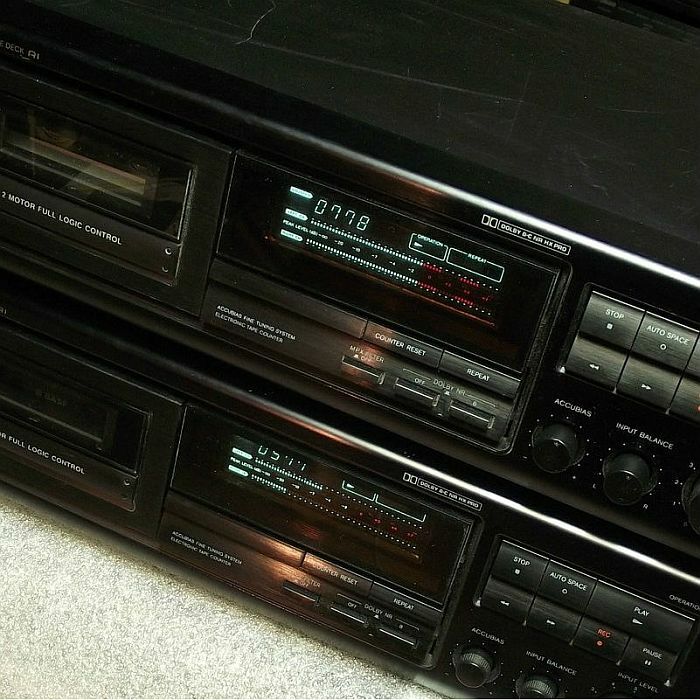 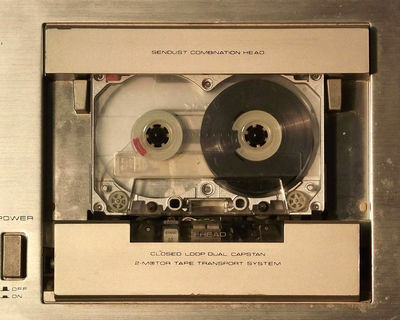 However there was a competition with another format presented by GRUNDIG, but the PHILIPS Compact Cassette became dominant as a result of PHILIPS's decision in the face of pressure from SONY to license the format free of charge. 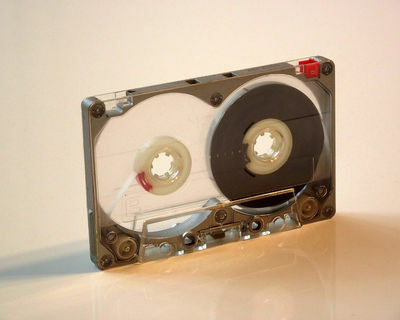 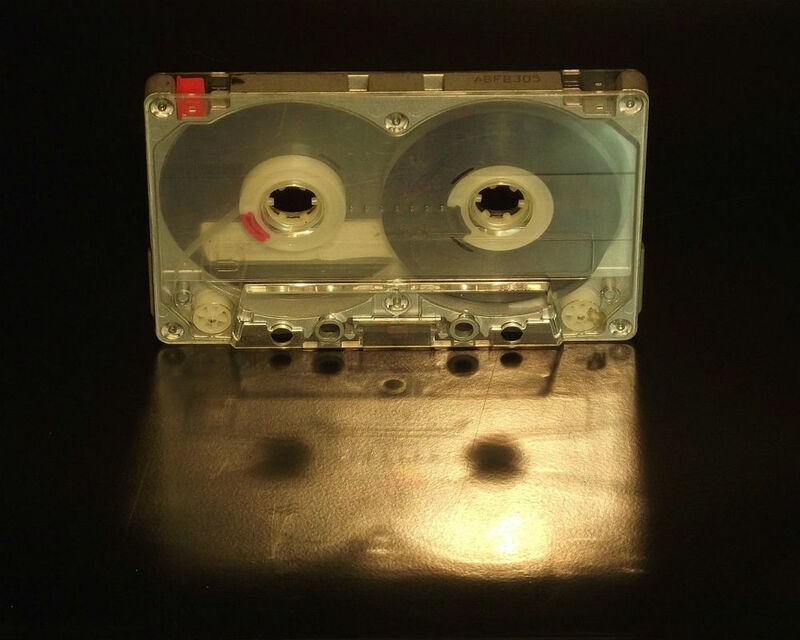 With the introduction of new tape formulations (first the chromium dioxide (CrO2), improvements in the cassette player mechanism and the introduction of prerecorded music cassettes made this format a succes. 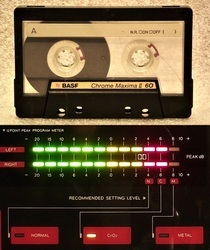 The introduction of the "3 Head" configuration in 1973 by Nakamichi, SONY and other major manufacturers turned this medium into a competitive Hi-Fi analog recording solution. 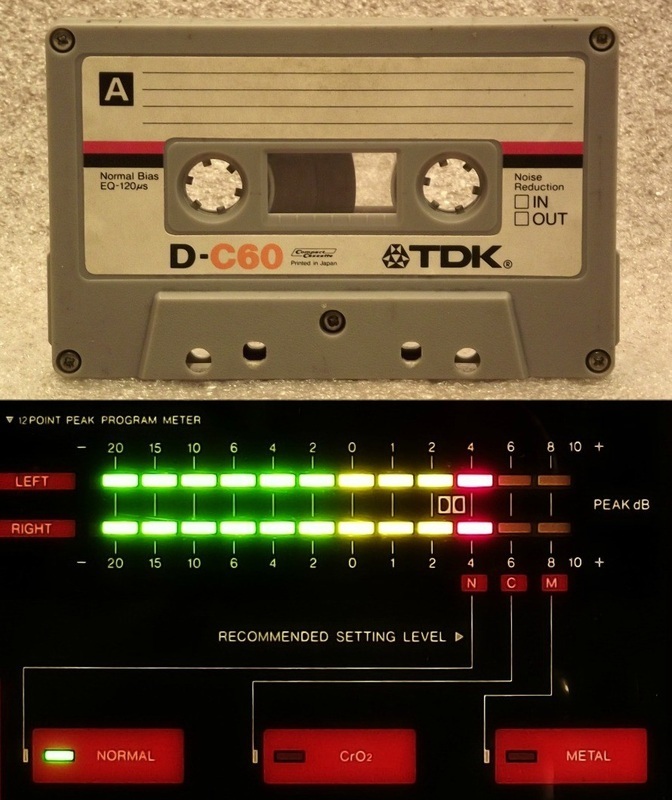 This would be the story of the Compact Cassette in a nutshell on the 50th anniversary of it's introduction by PHILIPS on august 1963. 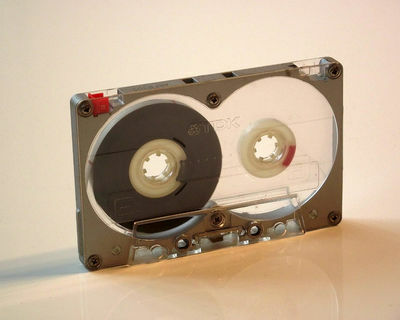 Read more about other devices that used a Compact Cassette as storage. 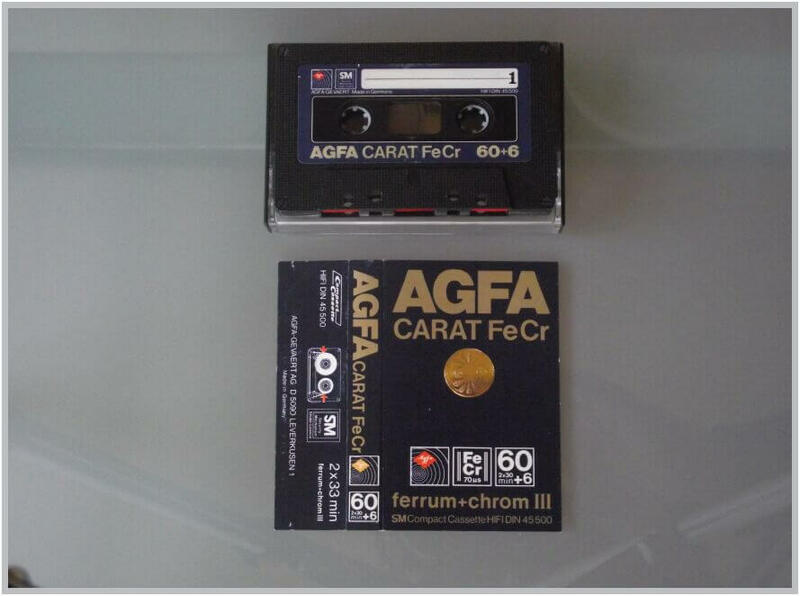 ​AGFA CARAT FeCr cassette tape. 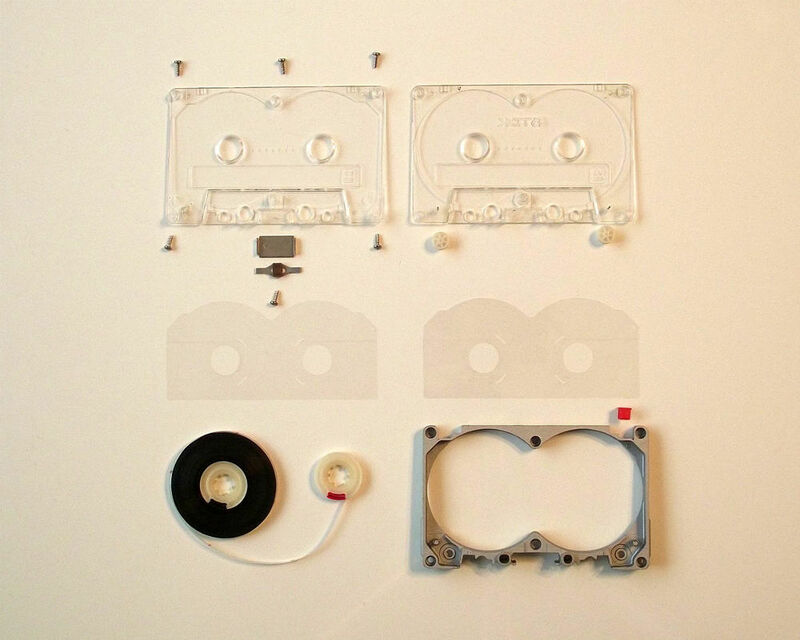 Made in Germany, this compact cassette has a running time of 2x33 min. 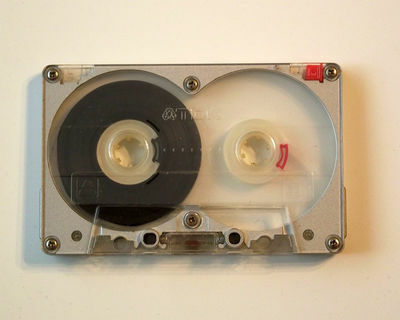 (as opposed to the usual 2x30 min.) 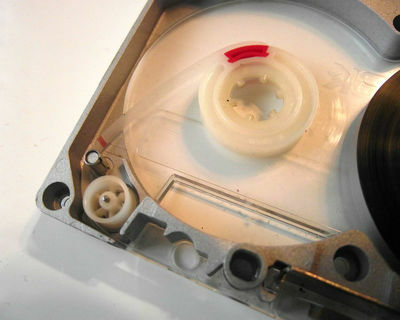 and it has the SM (security mechanism) that prevented tape jam when used with old cassette players that had no breaks to stop the "reels" after fast winding. 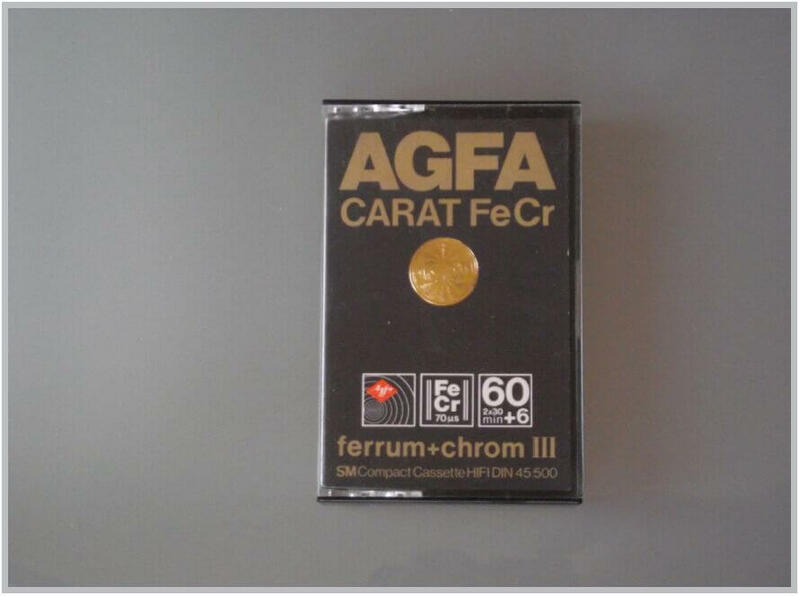 This tape formulation - ferrum+chrom III - was, before the Metal tape, the highest performance tape available. Usually cassette recorders from the 70's give their best performance using this - Type III (FeCr) - tape. 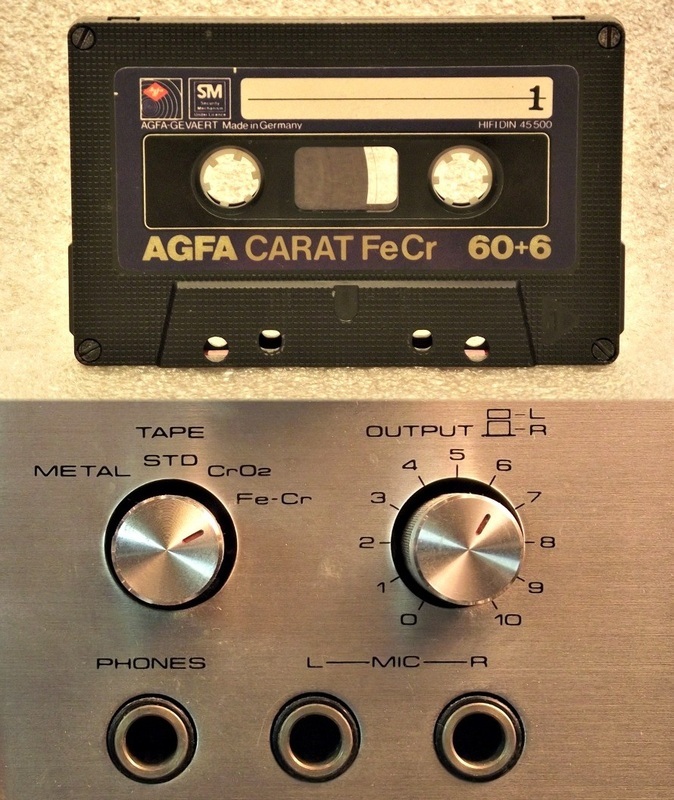 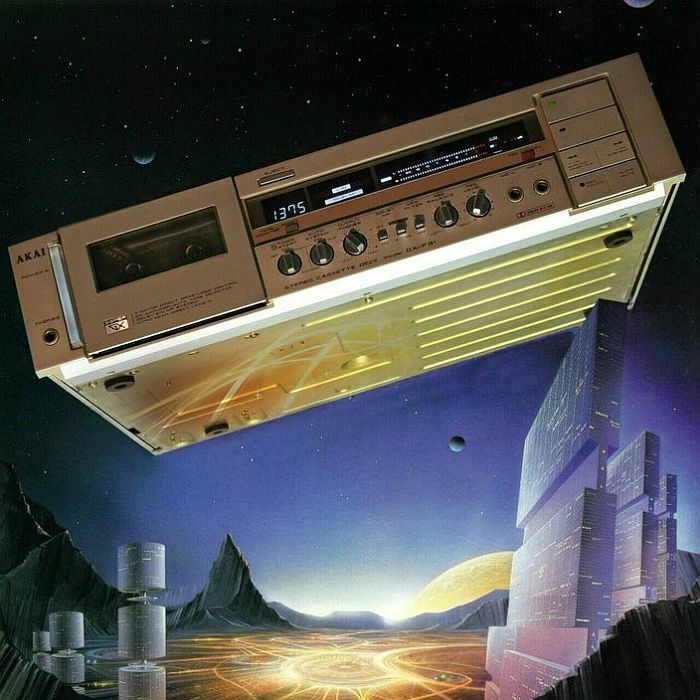 ​​I would like to mention the fact that the cassette you can see in the above pictures, contains recording made in 1979, and it still can be played back (in 2012) with a very good sound quality. This particular model shown here is from 1982. This version has the Metal tape detection holes while the one from 1979 hasn't had them. 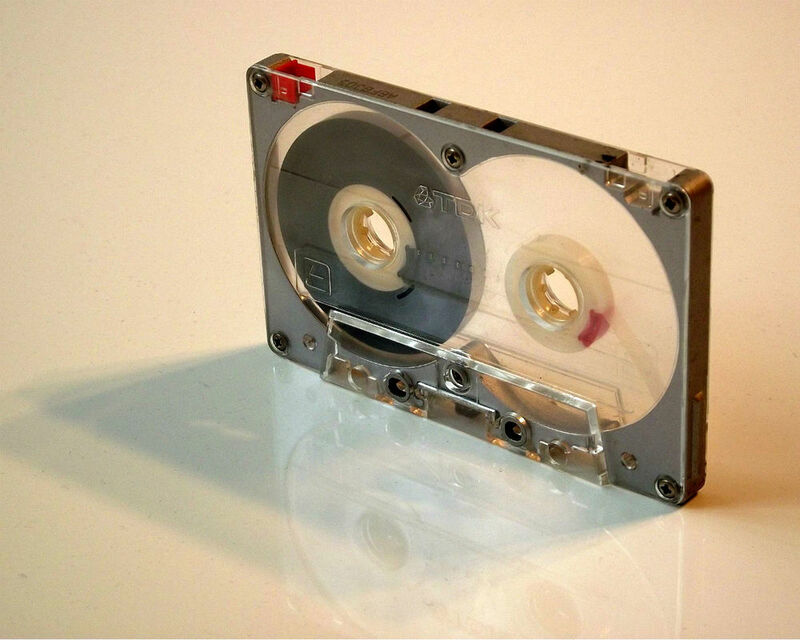 This compact cassette successfully combines high tech looks with top class performance. 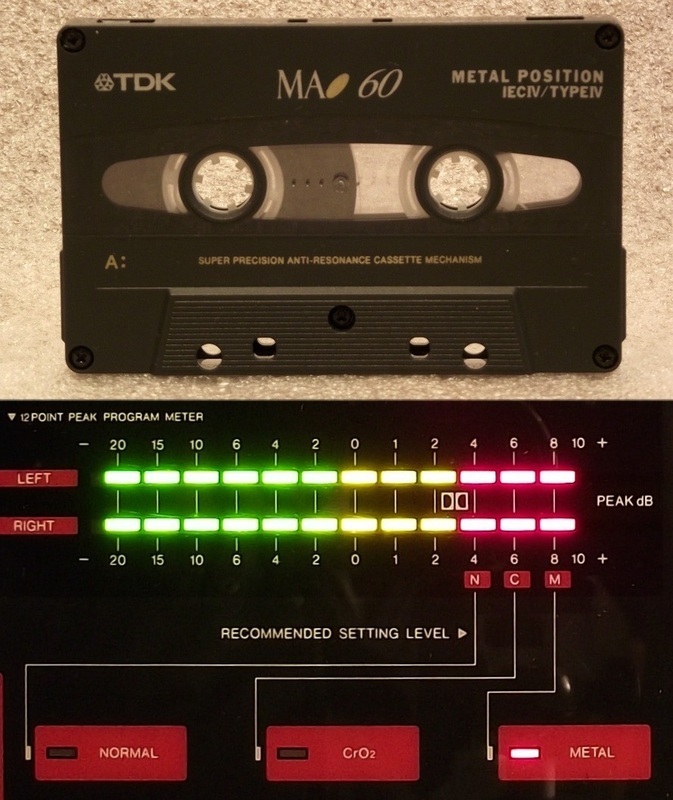 The combination of these two factors made the TDK MA-R as one of the most iconic cassette tape ever created. According to manufacturers description "TDK METAL TAPE fully realizes the dramatic advantages of metal alloy over conventional tape. Its far superior MOL and freedom from high frequency saturation deliver more vibrant recordings of wider dynamic range than previously possible on cassette. 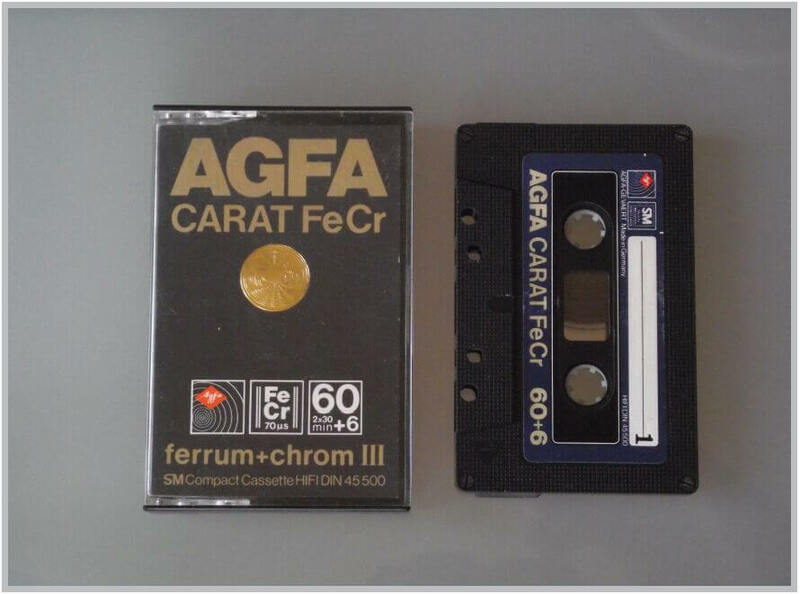 The long term stability of TDK FINAVINX metal particles is assured through polymer coating which permanently seales each one"
Cover Picture Art: Metal reflections - Published February 15th 2018. 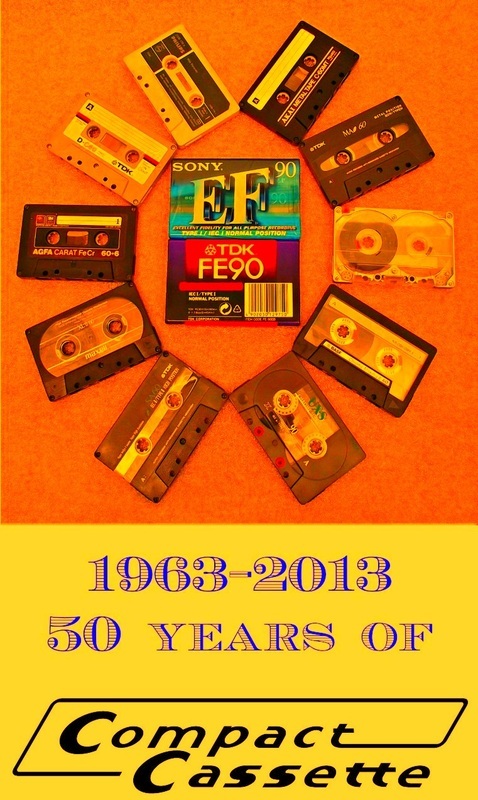 ​Support 1001 Hi-Fi - The Stereo Museum.